Wait, Shatter Me is about a war? I read Tahereh Mafi’s Shatter Me (2011) and Unravel Me (2013) as soon as classes were done for Christmas, but I actually had to hold off on this post until now to regain my composure. 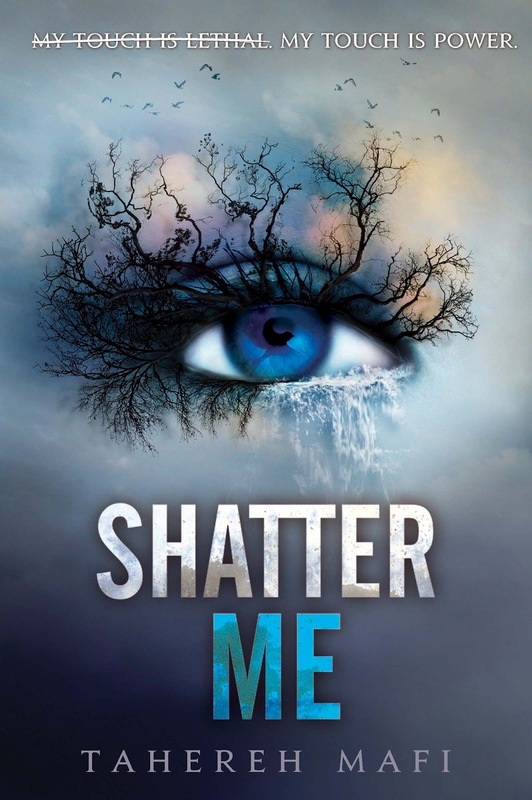 I am so in love with the Shatter Me series that it’s actually something of an unbalanced obsession. Like, I don’t just want to memorize certain parts; I want to fuse the actual pages to my flesh so the words are with me always. The series is told from the perspective of Juliette Ferrars, a 17-year old girl living in a post-apocalyptic society where life as we know it has disappeared and an oppressive regime, led by the Reestablishment, is now in control. But Juliette is no ordinary girl; her touch is lethal. For 264 days she is left in isolation in an asylum, until the Reestablishment and the Resistance decide she would be an asset in the coming war. Not only does she need to decide what to do with her gifts, but she needs to discover who she can really trust. The books read like a personal diary, and Mafi’s prose are extremely raw and poetic. You’re reading Juliette’s most private thoughts, and for my part this resulted in me genuinely liking her. Better still, the emotion Mafi puts into the dynamic between Juliette and Adam Kent, as well as Juliette and Warner, just sizzles. The series wraps up in February with Ignite Me. But wait, there’s more! Mafi also wrote two companion novellas to the series (Destroy Me (2012), from Warner’s perspective and Fracture Me (2013), from Adam’s) that were originally only available as ebooks, but will now also be published together as Unite Me for the same release date! It’s like second Christmas!